You will see the magic. A 17-inch wheel leads the way ahead of the full sportbike fairing. Not only is this comparable to many of the current literbikes, but it contributes to handling that you just can’t get from your typical scooter. The front fairing carries a trio of headlights with a trigger-actuated passing-lamp function built in and standoff-mount turn signals above the engine cowl section. A low flyscreen shares the top of the fairing with a pair of rather useless mirror standoffs. The position of the mirrors gives a marvelous view of your own jacket, and since the vibration is almost as bad as my Sportster, you can’t really identify any single targets amid the swirling blur of images anyway. 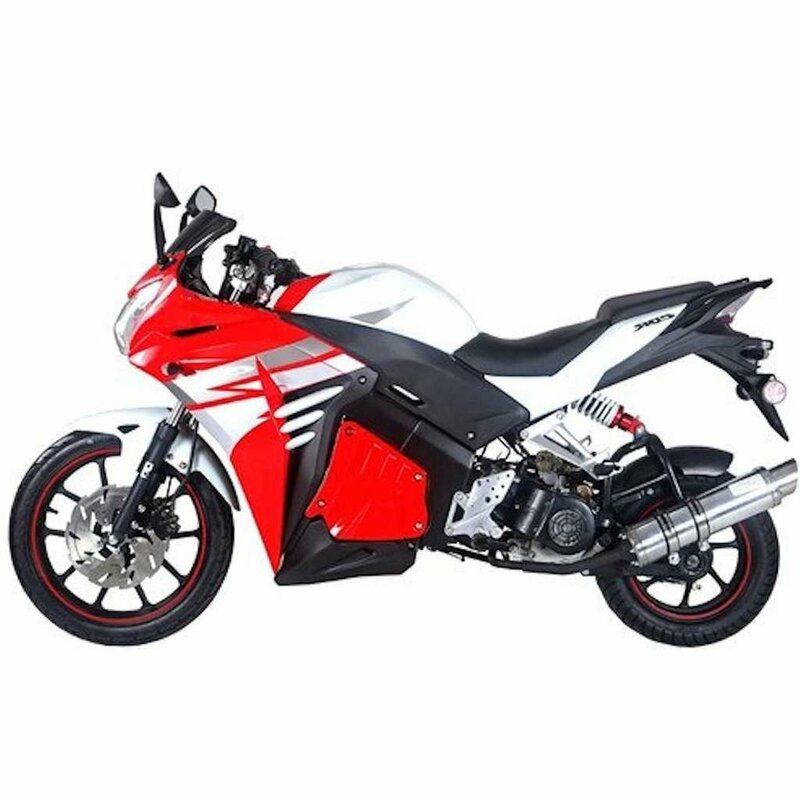 Check out this TAOTAO RACER 50cc Street Bike Video below. TAOTAO Racer 50 Street Bike - WWW.BIKE.CC from Bike.cc on Vimeo.